It can be as simple as putting a box in your garage or office and sending an email to let folks know it’s there. We accept books for all ages, children or adult. 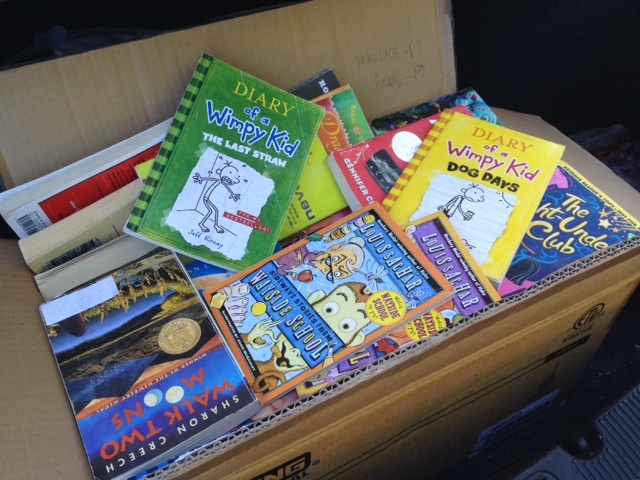 What we cannot use for our youth programs, we sell at our annual BFK Book Sale – so clean off your bookshelves and give us a call! We’ll provide printable signs and logos, along with messaging to include in an email, Facebook post, newsletter or other bulletin. For larger book drives, we can help with communications and logistics if needed. No matter the size, we hope you’ll consider holding a book drive soon. Contact us for more information.